All railways are dangerous, but some railways are more dangerous than others. In this day and age, the concept that bare, live conductors of 750 volts run through our places of work at ground level is hard to comprehend, yet these are exactly the dangers facing depot operatives at third rail depots. Rail Safety specialists, Zonegreen are leading a two-pronged attack on the risks associated with third rail, to improve protection for workers at rail depots, via its Interlocking and Points Converter systems. 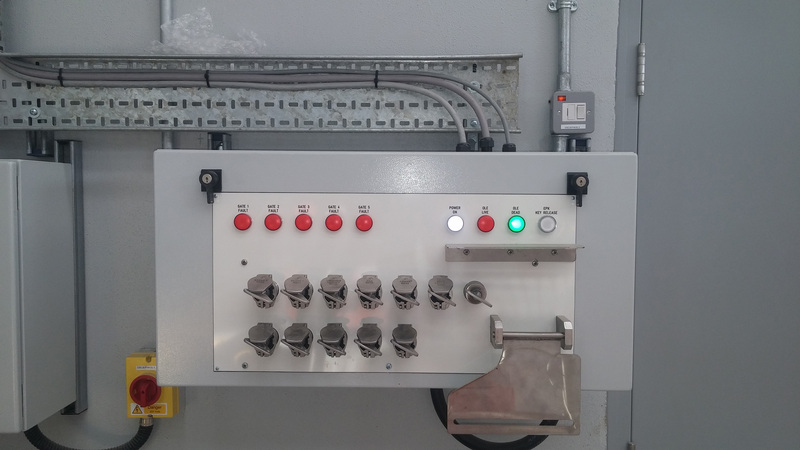 The basic role of interlocking is to protect personnel and equipment from the dangers posed by live traction power supplies. Zonegreen’s system works by inhibiting the use of third party equipment until the third rail has been isolated, through a combination of mechanical keys and electronic contacts. This type of system is particularly beneficial on stabling roads, where operations such as cleaning and sanding are completed. Workers are often required to walk in and around the six-foot space alongside the third rail, putting them at considerable risk. 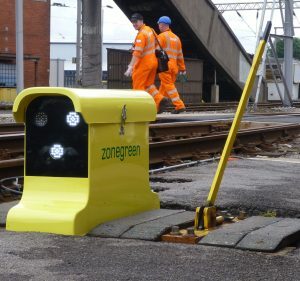 The Zonegreen Points Converter, an innovative method of automating manual points, has also been designed to increase safety in rail depots and can be used to reduce the dangers associated with the third rail. Points Converters are fitted retrospectively to existing manual hand points and can be controlled either by key switches located in a position of safety, remote handsets or a central computer system. This allows the point to be operated remotely, without putting people in harm’s way. The innovative system removes the need for shunters to traverse potentially long distances to reach manual points, at all times of the day and night. In areas where there is potentially poor lighting, ballast and uneven surfaces, the dangers of contact with the third rail are heightened and ever present. The ORR Strategy for Regulation of Health and Safety Risks, May 2017 called for “safety improvements in yards, depots and sidings, in particular in relation to electrical risks.” Overall, the best way to protect people from the harm the third rail can cause is to keep them away from it. Thanks to Zonegreen, life-saving solutions that embody these requirements are readily available.